This version of OpenMix: Hybrid Private/Public Cloud Load Balancer for AWS is not available to new customers. Improve availaiblity by load balancing across mulitple AWS regions. Automatically Optimize Web application performance through dynamic traffic routing based on real time latency and throughput measurements. The Cedexis Hybrid Public/Private Cloud Load Balancer for AWS (HCLB) can improve both availability and performance of your web applications whether they are served from your own datacenter or from AWS. The service is unique in its use of real time end user latency and throughput measurements to direct traffic to the optimum, or surviving in case of an outage, cloud instance at any given moment. Load balancing diversity between your private data center and AWS public cloud regions can provide improved availability assurance, as well as better Latency and Throughput performance. The Cedexis HCLB continuously updates its decision making based on 10s of millions of new measurements each hour, automatically adjusting traffic shaping for your users. The Cedexis HCLB is completely programmable and available from the cloud, with 40+ nodes worldwide to assure reliable performance. 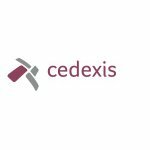 Cedexis HCLB can also incorporate external data feeds, including AWS monthly aggregate usage, application performance, VM/server monitoring, or costs data, to meet the needs of your business. Cedexis HCLB utilizes Radar(TM) latency data. Cedexis Radar is a free community of companies from around the world who want to see better web performance for all. The Radar community collects ~1 billion end user latency and throughput measurements a day, 40 million an hour, to provide independent visibility into the performance of Clouds, CDNs and ISP networks. Please see seller website for refund policy.